What comes to mind when one explores a career in philanthropy? Often, program officer and executive positions with foundations usually top the list. However, there are other avenues, such as working in communications. In philanthropy and the nonprofit sector, it is important for individuals and organizations to implement effective communications strategies that can help to meet programmatic, fundraising and mission-related goals. However, this work isn’t always recognized as important. My friend and fellow social entrepreneur, Bilen Mesfin Packwood uses her background as a journalist and strategic communicator to help changemakers in Northern California. Meet our latest Insider, Bilen Mesfin Packwood, founder and principal of Change Consulting LLC, a firm that provides strategic communications solutions to help nonprofits, foundations and changemakers build awareness and gain supporters for important causes. Bilen founded the firm in 2008, based on her prior work leading and supporting communication efforts for Northern California changemakers, which include former San Francisco District Attorney now California Attorney General Kamala D. Harris. She has written for the Associated Press, Edutopia, the Nashville Tennessean and other publications. 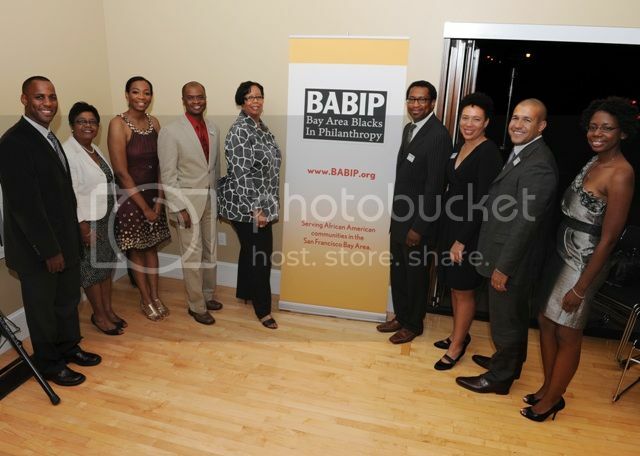 Change Consulting LLC’s clients include Bay Area Blacks in Philanthropy (BABIP), IGNITE, Mitchell Kapor Foundation, and The Rosenberg Foundation among others. Packwood has a Master’s in Journalism from the University of California, Berkeley, and a B.A. from Vanderbilt University in Nashville, Tennessee. She lives in Oakland, California with her husband Damon Packwood. Read on to learn how she got her start in the field, why communication and branding is important for nonprofit organizations, and her advice to young professionals who wish to pursue a career in communications for social change. How did you get your start in communications for social change and why did you choose it as a career? I’ve been a communicator pretty much my whole life and I’ve always been committed to making a difference by working for social justice. I’ve always loved writing, and my first job right out of college was in the communications department for Nashville Public Television. After that, I worked as an editor of a magazine in Atlanta before coming to the San Francisco Bay area to get a graduate degree in journalism and work at the Associated Press. I was then drawn to work with then San Francisco District Attorney Kamala Harris—now the first African American and first woman to be elected Attorney General of California—and an exciting team she was building inside local government, using communications to promote and help shape a proactive agenda for women, children and communities of need in San Francisco. About five years ago, I decided that it was time to realize my goal of directly helping social change nonprofits through communications, and that’s what I’ve been doing ever since. Looking back, I think my passion for social justice is tied to my own background as a Black immigrant. My family moved from Ethiopia to the U.S. when I was 11, and I would say we experienced first hand a lot of these issues that I now work to help address – economic inequality, racial injustice, immigrant rights, etc. As I grew older, I began to understand that the barriers we faced and struggled with went beyond the personal to the systemic. So, that’s really what draws me to strategic communications for social change – I want to use my skills to make a difference. Why is it important for nonprofit organizations and professionals to be concerned about communication and branding? Nonprofits and changemakers are doing some of the most vital work there is. And in order to achieve their goals – whether those goals are tied to programs, fundraising or advocacy – they must be able to engage and connect with a community of supporters, evangelists, allies, funders, clients and other decision makers. They have to raise awareness, get attention, and inspire action. That’s really what communications is all about. Communications is the secret sauce that nonprofits and changemakers can use to succeed in their work to make our communities better. Good question – I ask myself that often! (Laugh). I’ve always wanted to be my own boss, but I never really understood why until I saw an article that talked about how immigrants were more likely to start businesses and be entrepreneurial. It occurs to me that a lot of the qualities I need to not just start but also stay in business, I learned first from my father and mother. They had to have such faith, perseverance, and a steadfast belief and optimism that things would work out in order to leave all they had and start over in a new land. They didn’t know a lot of people, they had to constantly function outside their comfort zone, and they definitely struggled, but they kept going. They just believed that things would work out if they kept working, if they kept their eyes on a purpose bigger than themselves. And they were right. Looking back, that’s exactly how I felt when I decided to start consulting. I didn’t know what to expect, but I just believed that things would work out. And, so far, knock on wood, they have. 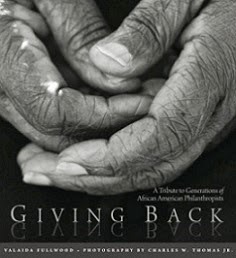 Bilen's work with organizations include Bay Area Blacks in Philanthropy, pictured above. Please share a favorite success story from one of the Change Consulting, LLC clients. One of the most rewarding things about what I do is that I get to see the results of my work almost immediately. It’s just the nature of the work. And while there have been some failure, there have also been many successes. One in particular was partnering with the Lawyers’ Committee for Civil Rights of the San Francisco Bay Area in 2010 to draw national attention to the fact that minority and women-owned businesses were being excluded from a massive public works project – California’s High Speed Rail. We organized a statewide telephone press briefing to announce a complaint filed against the High Speed Rail Commission by a coalition of businesses that were being impacted. The press briefing resulted in statewide coverage, including in the Associated Press, Los Angeles Times, Fresno Bee, and Orange County Register as well as ethnic media. An op-ed by two spokespeople ran in the Huffington Post. 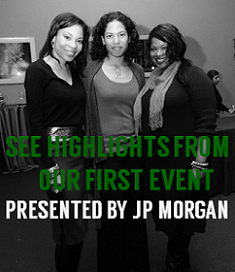 So, we got to play a part in helping to advance equal opportunity for minority and women‐owned businesses. Another project I’ve worked on this year is spreading awareness about my friends’ Kevin Weston and Lateefah Simon’s effort to get 1,000 African Americans registered as bone marrow donors. Only about 8 percent of the people in the national bone marrow registry are African American, and Kevin and Lateefah are on a deeply inspiring quest to change that. They’ve gotten to share their personal story about Kevin’s struggle with a life threatening illness far and wide, and have galvanized so many people to act and do their part to save lives. What advice would you give to young professionals who wish to pursue a career in communications for social change? Go for it. Your contributions are absolutely needed. One of the things I get frustrated about is the lack of diversity in media and communications, including communications for social change, so I especially encourage young people of color to explore communications as a career choice. Keep an eye out for role models, people who are doing what you want to be doing, research the path they took and reach out to them for advice. Look for opportunities to volunteer, intern or pitch in at a local nonprofit. Try to find some organizations that can help you get plugged into your local nonprofit community – one of the organizations I like is the Young Nonprofit Professionals Network. Right now, I’m excited about my ongoing partnership with the Rosenberg Foundation, one of the oldest social justice grantmakers west of the Mississippi. We’re doing a lot of critical work around criminal justice reform and immigrant rights, and I’m happy to support their efforts. I’m also part of the planning group for Civil Rights @50, a fantastic event being organized by Equal Justice Society, highlighting this important milestone in the civil rights movement. In June, I’m heading to Georgia with The SPIN Project for a residential training retreat for nonprofit communications professionals in the South. I spent my teenage and young adult years in the South, so I’m thrilled that I get to go back and experience it through a social justice lens. I always say that changemakers are my rock stars – others might look up to celebrities, but I myself am super impressed by people who have a vision and a mission to make the world better, whether it’s by making sure that all kids can have access to equal education, or that black men are not disproportionately impacted by the criminal justice system, or that there is a fair immigration process in place. I am very fortunate that I get to do what I do every day. 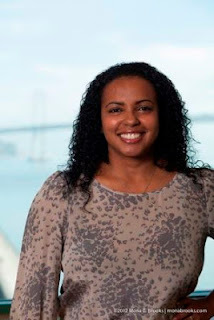 Connect with Bilen via Twitter at @bmesfin and visit her website at www.change-llc.com.